The first pilot study into the effectiveness of smart TV advertising has found interactive ad formats are seen favourably by viewers. The research, conducted by Smartclip (part of Adconian) in conjunction with LG Electronics found that almost a third of respondents engage in an action as a result of seeing an advertisement on their smart TV. 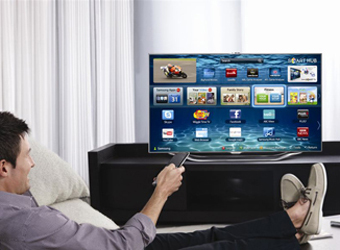 More than two-thirds of the interviewed smart TV users say they had stopped to watch interactive ads and have a positive attitude towards advertising on the platform. More than half of the respondents have already interacted with an ad, while 31% of people say they engaged in an action as a result of watching an ad via their smart TV. 15% of these users who interact with an ad think about buying the product straightaway, 24% talk about the ad; and 20% search for more information on the brand or product on the internet. The need for ads to be relevant, informative and easy to understand was highlighted with nearly half of respondents citing these as the key considerations. Other factors that tempt users to interact with ads are incentives such as discounts and coupons. “By creating interactive, relevant campaigns for Smart TV, brands can more easily track the influence of their content and measure engagement and resulting actions. All over the world users are now looking for a more connected viewing experience where apps and the internet play a larger role, so it is imperative that brands monitor whether they are achieving this by measuring engagement. This research has revealed that Smart TV has huge potential to engage audiences and we expect to see more and more advertisers capitalising on this platform in more creative ways,” Chandrapal adds.